Apple wants to make it possible for everyone to use Apple Music on any system they happen to own. In part that’s good business, and in part it appears to be some form of altruism, given the company’s seeming strategy to pay artists more per stream than other services aspire to do. 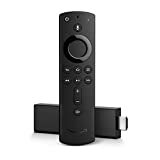 Amazon’s Fire TV devicessupport the retailer’s take on voice interfaces, Alexa. Alexa can control third-party devices and services using what Amazon calls ‘Alexa Skills’, API’s third parties can use in order to make their devices work with the system. Apple Music now supports these skills, which means all you need to do in order to access the Apple music streaming service you use in your den on your bedroom Fire TV is enable the Apple Music Skill on Alexa. Open your Amazon Fire TV interface on your television and navigate to Skills & Games. Find the Apple Music skill, select it and open the details page to link it to your account. Select Enable Skill, or ask Alexa to do so. (If you already use Apple Music on an Amazon Echo you won’t need to link your account twice). “Alexa, play today’s hits on Apple Music”. “Alexa, play music by [artist’s name] on Apple Music”. This is only the latest of a series of new relationships between Apple and Amazon. Not only can you now access Apple Music on Amazon Echo speakers, but you can also use Amazon Prime on Apple TV and fill your boots with Apple products on Amazon’s store. The support will extend to the UK later this week. If you need more help making the services work together then do take a look at Apple’s tech support note.